Until recently, The GRAND ANTIQUE of AUBERT had not been in the market for about 70 years and it is extracted in France in the valley of the river Lez, south-east of Saint-Girons, in the region of Ariege. 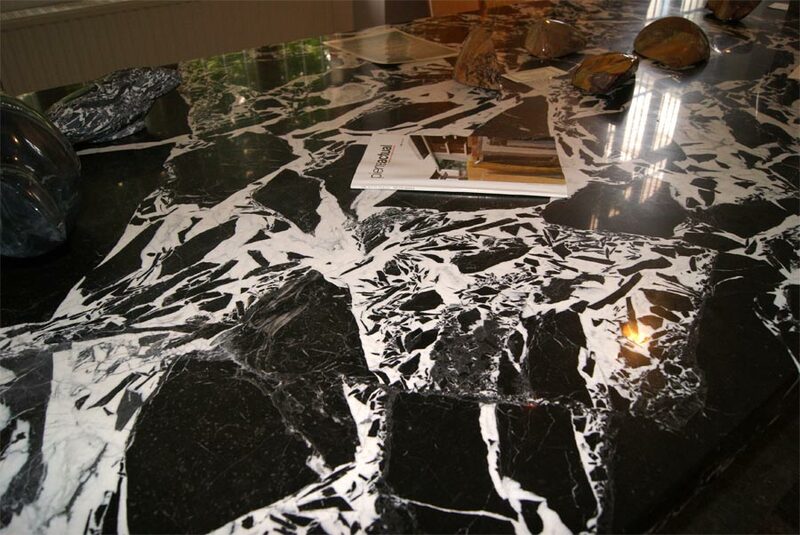 This prestigious marble appears in uniquely contrasting black and white, a feature it does not share with any other type. 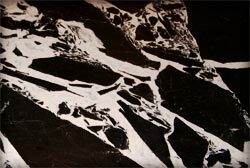 The formation of this tectonic breccia dates from the Late Cretaceous Period, following the corrugation of the North Pyrenean area about 65 million years ago. The Ancient Romans were the first to work the quarry. They material , which they called ‘marmum celticum’, was exported to Rome and Constantinople. However, it was more widely used in the time of the Byzantine Empire to decorate the greatest masterpiece of architecture of the time : the HAGIA SOPHIA, in Istanbul. After that time, the quarry was abandoned and the remaining blocks were used to decorate famous basilicas: St. Peter’s, Santa Maria Maggiore and Santa Cecilia’s in Rome, and St. Mark’s in Venice. 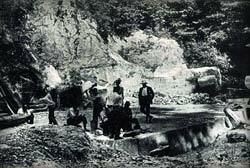 The quarry was opened again from the 19th century to the first half of the 20th century, when it was to be closed for years. In time, locals affectionately named it ‘TROUC DEL DESMEMBRERI’ or 'Trou de l'oubli' (The Cave of Oblivion), because of the neglect and silence characterizing it. 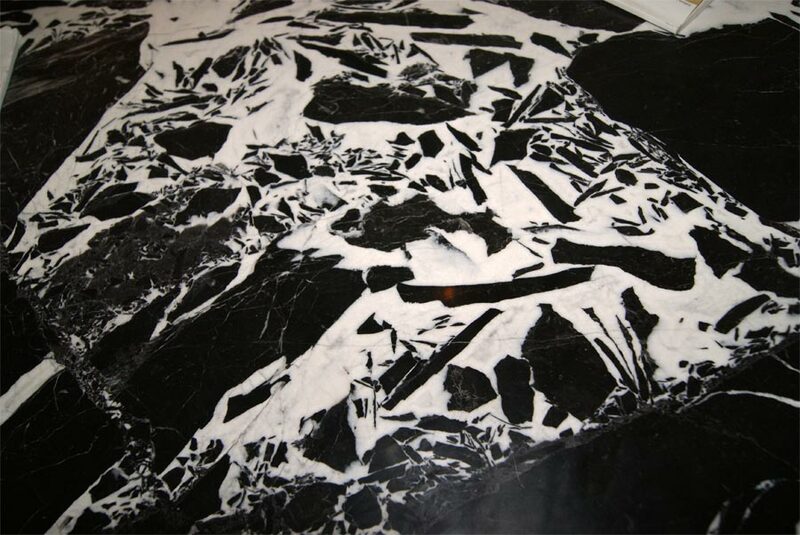 The GRAND ANTIQUE was the material Jacques-Emile Ruhlmann selected for his fireplace Decorative arts and it is considered to be the most precious marble of the French Pyrenees. It is known worldwide thanks to the notable places where it can be found. In the St. Louis chapel at Les Invalides, Paris, the pillars around the altar are made up of two 8-meter-tall twin columns of GRAND ANTIQUE. The tomb of Joseph Napoleon, made of the same material, can also be found there. The statue of St.Peter in Westminster Abbey, the columns in the Tarbes Cathedral and the Diana Salon in the Palace of Versailles also display the GRAND ANTIQUE. 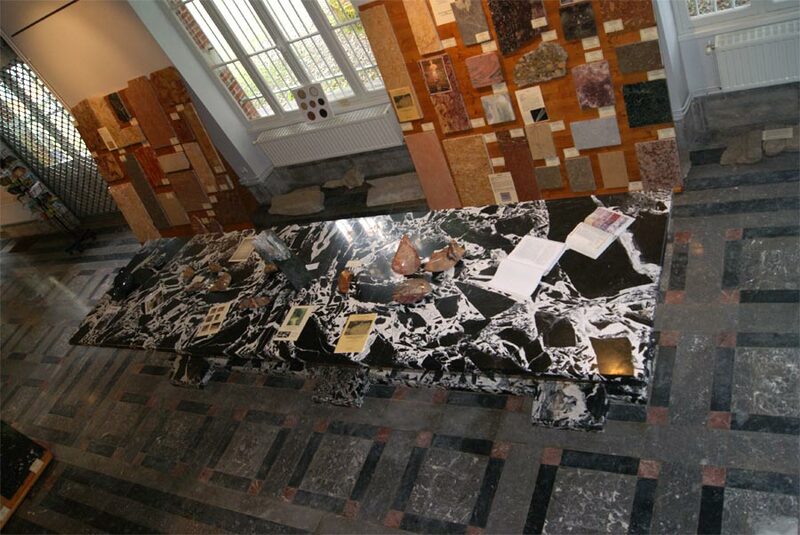 The Museum of Bagnares-de-Bigorre hosts another beautiful example of GRAND ANTIQUE. 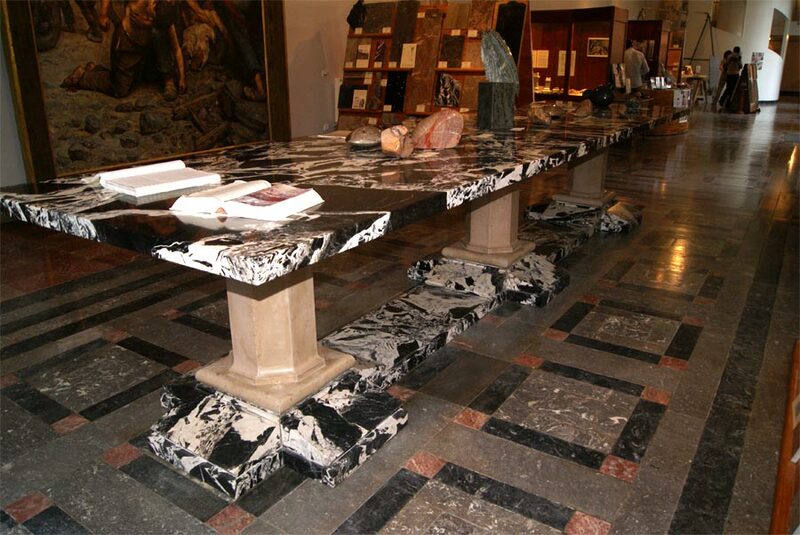 A 5-meter-long and 1.5-meter-wide table made up of two symmetrical polished slabs in the shape of an open book. 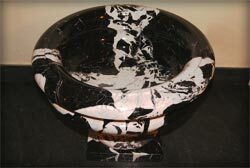 This unique decorative material mainly lends itself to the construction of columns, marquetry, fireplaces, vases, table tops, floors, tapestry and other decorations. Museum of "Bagneres de Bigorre"